Israeli forces continued with systematic crimes in the occupied Palestinian territory (oPt) for the week of 15 – 21 March, 2018. Israeli forces continued to use excessive force against the peaceful protests, while 37 Palestinian civilians, including 12 children and a photojournalist, were wounded in the West Bank and Gaza Strip. During the reporting period, Israeli forces wounded 37 Palestinian civilians, including 12 children and a photojournalist, in the West Bank and Gaza Strip. In the Gaza Strip as well, the Israeli forces continued to chase the Palestinian fishermen in the Gaza Sea, target the border areas, and carry airstrikes against objectives belongs to the Palestinian Armed Groups and open lands. 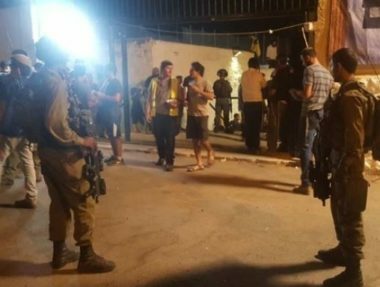 In the West Bank, on 20 March 2018, 6 civilians, including a child, were wounded when a group of “Mista’arvim” undercover units dressed like Palestinian civilians sneaked into Burin village, west of Jenin, to carry out an arrest mission. 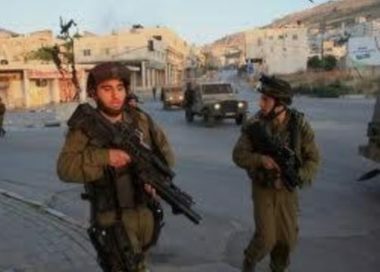 On 21 March 2018, a 45-year-old Palestinian civilian was wounded with a rubber boat to the abdomen when the Israeli forces moved into al-Moghir village, northeast of Ramallah, to arrested civilians. 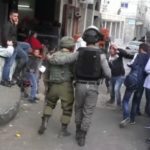 Moreover, 4 Palestinian civilians, including a child, paramedic, and photojournalist, were wounded after Israeli forces opened fire at them and fired tear gas canisters directly at them during protests and stone-throwing at the Israeli soldiers stationed at the entrances to the Palestinian villages in the West Bank. These demonstrations are organized by Palestinian civilians in protest against the American President’s decision to recognize Jerusalem as the capital of Israel and against the Israeli settlement activities and land confiscations. 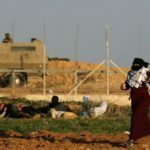 In the Gaza Strip, 16 Palestinian civilians, including 10 children, were wounded after Israeli forces fired bullets and tear gas canisters at them directly during protests and stone-throwing at the Israeli soldiers stationed along the border fence between the Gaza Strip and Israel. 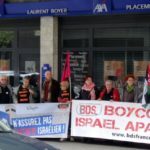 These demonstrations are organized by Palestinian civilians in protest against the American President’s decision to recognize Jerusalem as the capital of Israel and against the closure imposed on the Gaza Strip for 11 years consecutively. As part of targeting fishermen in the sea, the Israeli forces continued to escalate their attacks against fishermen in the Gaza Sea, indicating to the on-going Israeli policy of targeting their livelihoods. PCHR’s fieldworkers monitored 10 shooting incidents; 7 in north-western Beit Lahia and 3 others in Western Soudaniyah, west of Jabalia in the northern Gaza Strip. As part of targeting the border areas, on 15 March 2018, Israeli forces stationed in the watchtowers, east of Jabalia in the northern Gaza Strip, heavily opened fire at the border area in addition to firing 6 artillery shells; one of which fell on a checkpoint belonging to the Palestinian Armed Groups while the other shells fell on agricultural lands and open areas. 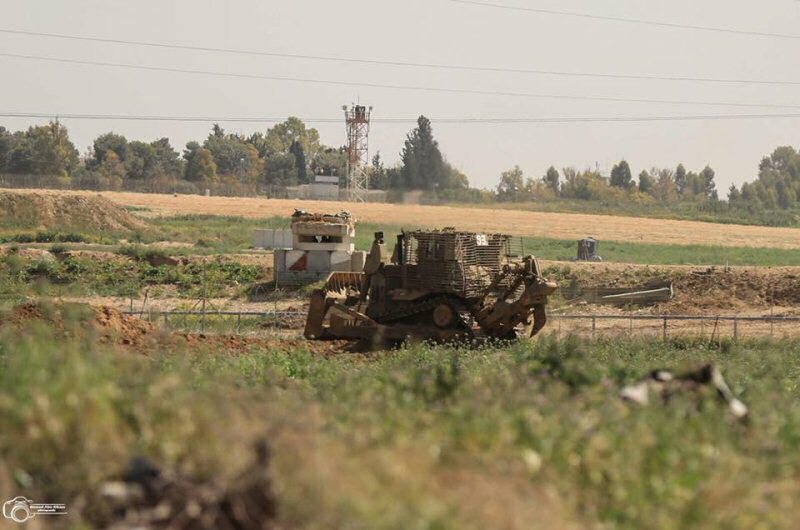 On the same day, the Israeli artillery fired one shells at an open area, north of the Agriculture School in northern Beit Hanoun, but no casualties were reported. 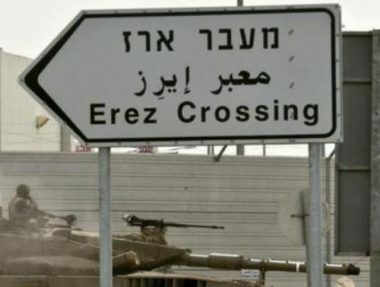 On the same day, the Israeli soldiers stationed along the border fence between the Gaza Strip and Israel, east of al-Maghazi in the central Gaza Strip opened fire at the agricultural lands, but no casualties were reported. On 17 March 2018, Israeli soldiers stationed along the border fence between the Gaza Strip and Israel opened fire at the Palestinian agricultural lands, east of al-Bureij. The shooting recurred sporadically in the same area on Tuesday afternoon, 20 March 2018, until 09:00 next day. However, no casualties were reported. As part of airstrikes, on 15 March 2018, the Israeli warplanes launched 4 missiles at military training sites belonging to al-Qassam Brigades on Khalil al-Wazir Stree in Beit Hanoun in the northern Gaza Strip. 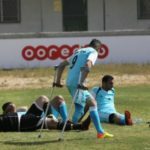 Three missiles fell on the site as two exploded causing material damage to the site while the fourth missile exploded in the playground of Beit Hanoun Services Club Stadium adjacent to the training site from the northern side. No casualties were reported. As part of house demolitions, on 17 March 2018, Ishaq Shweiki self-demolished his house in Silwan village, south of occupied East Jerusalem’s Old City, upon the Israeli municipality’s decision and to avoid the high fines. Shweiki said that the house, which was built 6 years ago of gypsum and sheet iron, is a 50-square-meter second floor and he was forced to self-demolish it after threatening to impose on him fines and demolitions costs ranging between 50 to 60 thousands shekels and for not causing damage to the ground floor. On 20 March 2018, Faisal Jom’ah self-demolished his house in al-Mukaber Mount neighborhood, southeast of occupied Jerusalem’s Old City, implanting an order by the Israeli municipality under the pretext of building without a license. Faisal said that he built his house 6 months ago and tried to license it but the Israeli municipality refused. He added that the house was built on an area of 150 square meters and sheltered his family comprised of 6 members, including 4 children. As part of settlers’ attacks against the Palestinian civilians and their property, on 19 March, settlers wrote racial slogans calling for expelling Arabs from Jerusalem on the walls of houses and civilian vehicles in Hizmah village, northeast of occupied East Jerusalem. They also punctured 3 vehicles and wrote slogans on it in addition to breaking a vehicle’s windows. As part of the Israeli settlers’ attacks against the Palestinian civilians and their property, on 17 March 2018, an Israeli settler attacked using a dog a shepherd, who was in al-Rahwah area, southwest of al-Thahiriyah village, south of Hebron. The shepherd attempted to confront the settler while the dog attacked the flock, seriously wounding 2 sheep. The Israeli police did not come to the scene claiming it is far away from them. On 19 March 2018, a group of settlers attacked Palestinian farmers’ lands in al-Thahrat area in the outskirts of Termes’aya village, north of Ramallah. The settlers heavily threw stones at the famers, wounding one of them with a stone to the head. · On Saturday, 17 March 2018, Ishaq Shweiki self-demolished his house in Silwan village, south of occupied East Jerusalem’s Old City, as an implementation of the Israeli Municipality decision and to avoid paying high fines. Shweiki said that the Israeli Municipality gave him 30 days to demolish his house under the pretext of non-licensing. He added that the house that was built of sheet iron and gypsum 6 years ago on an area of 50 square meters is a second floor. Shweiki added that the house was sheltering his whole family and grandsons, but he was forced to demolish it to avoid paying the Municipality’s high demolition costs randing between 50 and 60 thousands shekels and to aviod causing damage to the ground floor, which was built 100 years ago. · On Tuesday, 20 March 2018, Faisal Mohamed Jom’ah self-demolished his house in al-Mukaber Mount area, southeast of occupied East Jerusalem, to implement the Israeli Municipality decision under the pretext of non-licensing. Faisal said that he built his house 6 months ago and at the beginning of this month; the Israeli Municipality issued a decision to demolish the house. He also said that lately, he could delay the decision attempting to get a license, but the municipality refused. 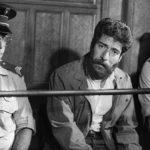 Moreover, the District Court issued a decision to demolish the house, so Faisal was forced to implement the decision to avoid paying the demolition costs and a fine of 70,000 shekels. He clarified that his house was built on an area of 150 square meters and after demolishing his house, his family comprised of 6 members, including 4 children, rendered homeless. · On Monday, 19 March 2018, Israeli settlers wrote racist slogans on the walls of houses and Palestinian civilian vehicles in Hizmah village, northeast of occupied East Jerusalem, calling for expelling Arabs from Jerusalem. 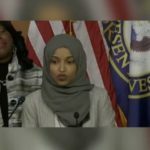 The village residents said that a group of Israeli settlers wrote racist slogans such as “Arabs of Jerusalem are terrorists who must be expelled” and “There is no place for strangers in Israel”. They also punctured 3 vehicles’ tires, wrote slogans on them, and broke a window of another vehicle. 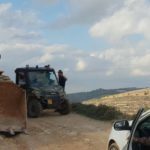 · At approximately 10:00 on Saturday, 17 March 2018, an Israeli settler from “Havat Mor” settlement near “Tina” settlement established on the confiscated lands, southwest of al-Dahiriyah village, south of Hebron, attacked a shepherd using a dog while he was in al-Rahwa area, southwest of al-Dahiriyia village. The shepherd ‘Ali Ratib Ahmed Jabbareen attempted to confront the settler while the dog attacked the sheep, causing serious wounds to 2 of them. The Israeli police did not come to the area, claiming that it is far away from them. · At approximately 13:22 on Monday, 19 March 2018, a group of Israeli settlers from “Shilo “ settlement established in the western side of Termas’iyia village, north of Ramallah, attacked Palestinian lands in al-Dahrat area established in the outskirts of Termas’iyia village. The Israeli settlers heavily threw stones at the farmers. As a result, ‘Awad Abed al-Haq Abu Samra (44) was hit with a stone to the head and was then taken to Palestine Medical Complex in Ramallah to receive medical treatment. 1. PCHR calls upon the international community to respect the Security Council’s Resolution No. 2334 and to ensure that Israel respects it as well, in particular point 5 which obliges Israel not to deal with settlements as if they were part of Israel. 2. PCHR calls upon the ICC this year to open an investigation into Israeli crimes committed in the oPt, particularly the settlement crimes and the 2014 offensive on the Gaza Strip. 3. PCHR Calls upon the European Union (EU) and all international bodies to boycott settlements and ban working and investing in them in application of their obligations according to international human rights law and international humanitarian law considering settlements as a war crime. 4. 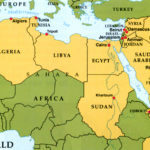 PCHR calls upon the international community to use all available means to allow the Palestinian people to enjoy their right to self-determination through the establishment of the Palestinian State, which was recognized by the UN General Assembly with a vast majority, using all international legal mechanisms, including sanctions to end the occupation of the State of Palestine. 5. 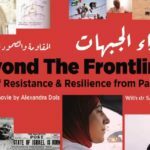 PCHR calls upon the international community and United Nations to take all necessary measures to stop Israeli policies aimed at creating a Jewish demographic majority in Jerusalem and at voiding Palestine from its original inhabitants through deportations and house demolitions as a collective punishment, which violates international humanitarian law, amounting to a crime against humanity. 6. PCHR calls upon the international community to condemn summary executions carried out by Israeli forces against Palestinians and to pressurize Israel to stop them. 7. 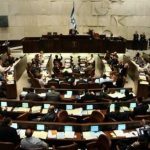 PCHR calls upon the States Parties to the Rome Statute of the ICC to work hard to hold Israeli war criminals accountable. 8. PCHR calls upon the High Contracting Parties to the Geneva Conventions to fulfill their obligations under article (1) of the Convention to ensure respect for the Conventions under all circumstances, and under articles (146) and (147) to search for and prosecute those responsible for committing grave breaches of the Geneva Conventions to ensure justice and remedy for Palestinian victims, especially in light of the almost complete denial of justice for them before the Israeli judiciary. 9. PCHR calls upon the international community to speed up the reconstruction process necessary because of the destruction inflicted by the Israeli offensive on Gaza. 10. 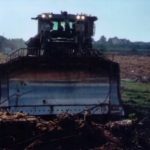 PCHR calls for a prompt intervention to compel the Israeli authorities to lift the closure that obstructs the freedom of movement of goods and 1.8 million civilians that experience unprecedented economic, social, political and cultural hardships due to collective punishment policies and retaliatory action against civilians. 11. PCHR calls upon the European Union to apply human rights standards embedded in the EU-Israel Association Agreement and to respect its obligations under the European Convention on Human Rights when dealing with Israel. 12. PCHR calls upon the international community, especially states that import Israeli weapons and military services, to meet their moral and legal responsibility not to allow Israel to use the offensive in Gaza to test new weapons and not accept training services based on the field experience in Gaza in order to avoid turning Palestinian civilians in Gaza into testing objects for Israeli weapons and military tactics. 13. PCHR calls upon the parties to international human rights instruments, especially the International Covenant on Civil and Political Rights (ICCPR) and the International Covenant on Economic, Social and Cultural Rights (ICESCR), to pressurize Israel to comply with its provisions in the oPt and to compel it to incorporate the human rights situation in the oPt in its reports submitted to the relevant committees. 14. PCHR calls upon the EU and international human rights bodies to pressurize the Israeli forces to stop their attacks against Palestinian fishermen and farmers, mainly in the border area.